Larimar or blue pectolite is an extremely rare gemstone. It has been found only in one location: a mountainous, relatively inaccessible area in the province of Barahona in the Dominican Republic. The first mention of the stone is in a request to mine Larimar in 1916, however, it wasn’t until 1974 that the stone really made an appearance. In 1974, Norman Rilling, a member of the U.S. Peace Corps, and Miguel Méndez, a Dominican found pieces of Larimar on the seashore. The word Larimar was created by Mendez, who combined his daughter’s name Larissa with the Spanish word for sea, Mar. Before Mendez and Rilling, local inhabitants of the region and their ancestors had long been aware of the stone. Early theories suggested Larimar was produced by the Sea, later by the earth’s volcanic movements. Island legends said that the stones could be collected easily on the beach, but one day there were no more blue Larimar stones left. Locals explored upstream and found a rock formation, which appeared to be the source of the blue stone. This legend holds truth; Mendez and Rilling in 1974 would follow a river upstream and find sources of the blue stone. Most small blocks of Larimar are in situ, meaning they exist in the very place where they formed. However, through soil erosion, some pieces broke off and were moved by rainfall down the slopes of the hillsides to rivers. The river deposited them in the Caribbean Sea, some pieces washed up on the seashore by waves. The stone is formed when hot gases push crystallized minerals up through volcanic ‘tubes’. In order to mine and excavate the stone miners must identify these tubes and dig deeper and deeper into old volcanoes. Larimar is used most often to make jewelry but has also been used to make beads, decorative objects and even handles on cabinets. Larimar is considered a healing stone and said to be finely tuned to the human body particularly to the throat area. It is said that it increases speech and communication skills and supports the body’s natural healing process. Persons believing in this have been known to wear Larimar jewelry or to put pieces of Larimar in their pockets or under their pillows. Larimar is also called the Atlantis Stone, because of a Spiritual master who lived in Trinidad and Tobago and who founded many Yoga Centers across the world, claimed that some islands in the Caribbean including the Dominican Republic were part of the lost continent of Atlantis. He went further to say that on one of those islands a blue stone with healing powers would be found – a description that corresponds to Larimar. Today, there are thousands of people, naturalists and persons practicing alternative and holistic healing methods, who use Larimar to assist and reinforce healing processes. Larimar’s beautiful blue color is often considered to embody the beautiful blue colors of the sea and sky found in the Caribbean. Its origin and appearance have made it popularly known as the Caribbean Gem. Larimar jewelry is popularly created and sold in stores throughout the Caribbean. It has a distinct vibration that aids you to communicate with clarity, and because of its heart-based energy, it helps you to speak of your emotions. It helps to dissolve emotional barriers and to release stored negative emotions such as angry thoughts, remembered the pain and other detrimental emotions that are not benefiting you. If you look at this lovely blue stone you will see within it the colors of the sea and sky. It has a strong harmonious feminine energy and calls forth feelings of a spiritual nature. Healers may use this stone in layouts at any of the chakras from the heart chakra up, but it is most effective at the throat and heart chakra. Within the thymus or higher heart chakra, its vibration will aid you to forgive others that may have caused you difficulties and to clear deep seated emotional pain. Larimar stone may aid you to release deep seated pain, resentment and fear. It might be helpful to wear a piece close to the where you are feeling the pain, to keep the energy working at its highest capacity. It is an excellent stone to aid you to clear any negative entities or other attachments and is a helpful stone if you have side effects related to a kundalini activation, as it is calming and soothing. Larimar stone is easy to buy, and there are two powerful ways to use this stone with both being highly beneficial. You may either choose to wear this stone, to keep the energy within your auric field constantly, or to use it in meditation, or you may do both. It has a strong healing vibration that will help you if you have problems managing anger, as it is cooling to the emotions. This is a truly spiritual stone that performs successfully when using within any or all of the chakras from the heart chakra through to the crown chakra. It is known to assist the removal of energy blockages, especially in the throat, chest, neck area and head. It is said to aid blood pressure problems and soothe infections in the chest, throat, and head. You may wish to place a piece of Larimar stone on the sore spot to aid your healing. The vibration of this stone is known to help to enhance your creativity, and it may help you to find creative ways to accomplish your soul purpose in this incarnation as it encourages spiritual perception. It is a strong asset to aid meditation and brings through a wonderful feeling of relaxation. A very soothing energy resonates from this blue stone, that aids you to feel calm and relaxed. These stones are very helpful to relieve stress, as the vibration of this stone takes you into a deep meditative state very easily, so it is a strong stone to relieve stress. If you are a singer, it is a very helpful stone to wear close to the throat, as it will support the health of the voice and enhance your singing. By holding a piece during meditation you may accentuate its vibration to aid you to contact angels and to connect with the Goddess. It will also improve your connection with nature. It has a decidedly spiritual energy that is said to aid Ascension, and to help you to let go of connections with other people that are not for your highest good. It also enhances your communication and will enable you to say things to others that may be slightly uncomfortable in some circumstances. This blue crystal is helpful at this time, as its vibration helps to make the communication be more acceptable to the hearer. The Larimar meaning relates to the way it helps you to clearly say those things that you need to say, in a way that others will understand. This stone’s vibration is all about how you communicate, and it resonates primarily through the throat chakra. Wearing a Larimar stone pendant is the easiest way to use one of these crystals. 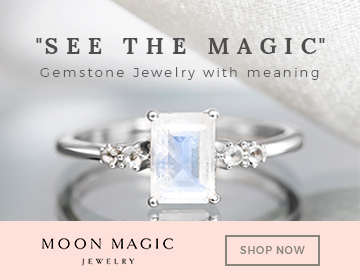 It is on the list of zodiac birthstones, and this delightful blue stone makes very attractive jewelry, including lovely pendants, earrings, and rings. This lovely blue stone is good to wear as a pendant, as its energy resonates within the throat chakra stone. Worn there it helps to create clearer communication, especially connected to your feelings and how you relate to others. Larimar jewelry is easy to buy, and wearing a Larimar pendant will help you to feel calm and relaxed. Wearing jewelry made from this stone is easily managed as it is found in a variety of different styles. As it is a birthstone for Leo, this means that it is more likely that you will find birthstone pendants and earrings made from this stone. Larimar stone inspires self-assurance and helps you to develop a bright cheery temperament. This stone of the Goddess augments your feminine power and your connection to Divine feminine energy. The vibration of Larimar vibrates within both the heart chakra and the thymus or higher heart chakra, to help you to break down barriers around the emotions. Its meaning relates to how it helps you to let go of ego based feelings and to live in the now. Due to all of the earth changes happening now, this is an important stone to use at this time. This beautiful blue stone will soothe and heal your emotions, and it helps to relieve stress. More than ever each of you need to understand the requirement to live right now, to be fully present in the moment, rather than looking back at the past, or hoping things will be better in the future. It has a strong spiritual action and will stimulate both the third eye and the crown chakras, and will help you to care for yourself. This stones ability to encourage you to go with the flow and quieten your thoughts. This allows you to be fully present and understand your current circumstances. To emphasize this stone’s connection with the higher realms, you may choose to use it with some of the high vibration crystals. High energy crystals such as Datolite, Phenacite, Aurora Quartz is also known as Anandalite, Tibetan Tektite, Moldavite, Natrolite and Tanzanite will combine well with it, and will aid you to reach the higher realms during meditation. Larimar Stone will stimulate contact with the Goddess. By contacting the Divine Feminine you may calm your emotions and free yourself from stress. Lemurian Crystals love to be combined with Larimar. Using this stone together with the quartz energy helps to amplify the vibration, to assist you to make contact with the Goddess. It also combines well with Green Diopside, Ruby Stone, Stellerite, Septaria, Lepidocrocite, and Sunstones. If you need more help in dealing with anger and/or any resentment you may be feeling, it may be helpful to combine this stone with some of the other stones that can help you to deal better with these emotions, such as Agrellite, Stellerite, Rose Quartz, Obsidian or Goethite. Other blue stones that are excellent in combination with this stone are Blue Aragonite, Blue Sodalite, Blue Lace Agate and Lapis Lazuli. You may choose to combine Larimar with other blue throat chakra stones. In particular, Aqua Aura, Aqua Lemuria, Ajoite in Quartz, Amazonite, Chrysocolla, Blue Turquoise Crystals and Aquamarine Crystals blend well with it. Ooh…Wonderful things! I think I need to show this to my son, thank you!